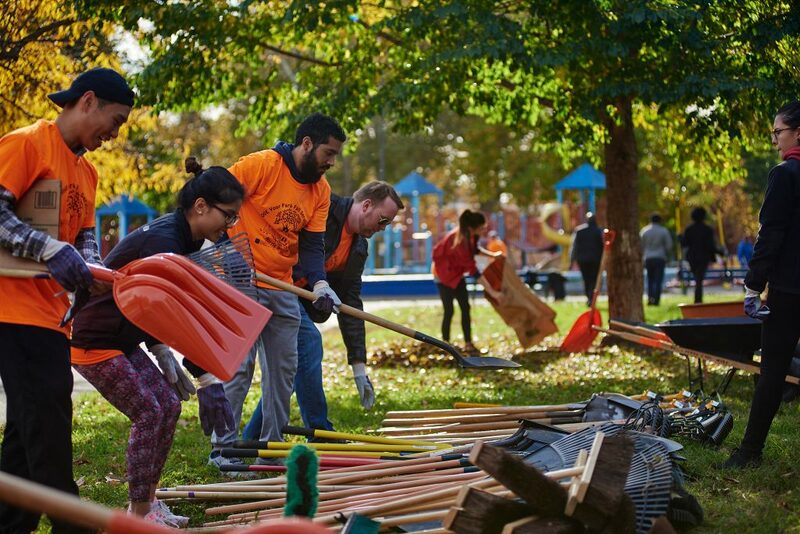 The 8th annual Love Your Park Fall Service Day on Saturday, November 10 was the biggest showing of Philly’s love for parks yet – thousands of volunteers broke the record for most parks cleaned in one day: 107! 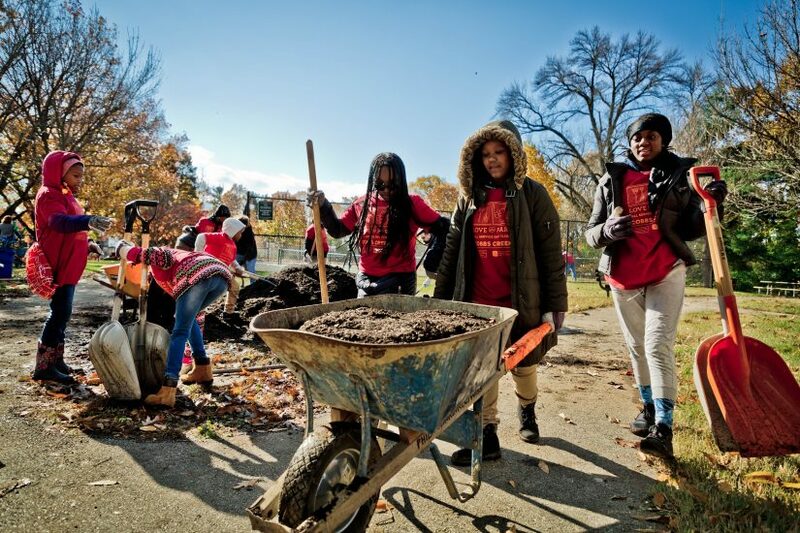 At Cobbs Creek Park, this year’s signature site, more than 60 volunteers from the surrounding community came out to clean and green the park, raking leaves, mulching trees, and planting bulbs – all to help prep the park for winter. All of the collected leaves will be composted at the Fairmount Park’s Organic Recycling Center and eventually made available for Philly residents for free! “This is a really important day to close our parks down for the winter and it is a very long tradition we’ve been doing at Parks and Rec with our great friends at the Fairmount Park Conservancy,” said Philadelphia Parks & Recreation Commissioner Kathryn Ott Lovell. 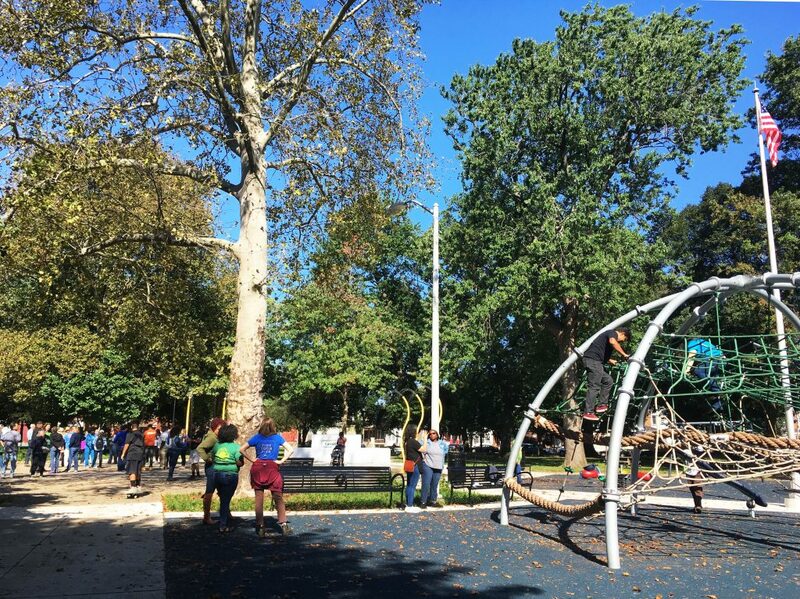 Philadelphia Parks & Recreation and the Conservancy host a citywide cleanup in all of Philly’s parks twice a year in partnership with the Philadelphia Park Friends Network, a group of volunteers who steward their neighborhood parks. This was the largest showing of participating parks in the history of Love Your Park, a testament to the dedication of the Park Friends Network, said Fairmount Park Conservancy’s Executive Director Jamie Gauthier. Relive the magic of the largest Love Your Park Fall Service Day to date in 20 #loveyourpark photos! Love your orchard, love your park. Love your orchard in the park! With fresh and familiar faces @ the Hunting Park Community Garden for #loveyourpark week ?? Proud of this group for getting out in the community today for a great cause. Happy to help out @schuylkillbanks @philaparkandrec for #LoveYourPark Fall Service Day! We will all have a better appreciation of the trails that we run on all year long! Thank you to all the amazing people who showed up today for Love Your Park day. 124 lawn bags of leaves and four new trees later, the park looks amazing! Pretzel Park is the place it is because people who love it. Thank you to this year’s Love Your Park Fall Service Day sponsors, whose support makes this event possible each year: The Knight Foundation, PECO, TDBank, Bank of America, and BLACKROCK.